But for adult holding a toy gun, pointing then shooting will be weird for most of people. 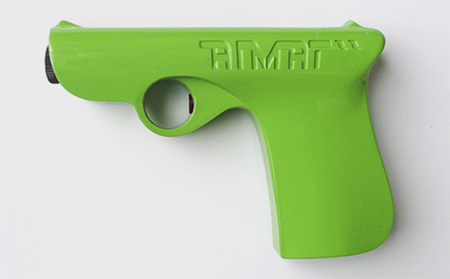 Even if you like this gun-shaped camera it’s still not possible to get it because unfortunately, Aimat gun-shaped camera is only a concept and is not for sale. This entry was posted on Saturday, November 28th, 2009 at 7:47 pm	and is filed under Interesting Stuff. You can leave a response, or trackback from your own site.